I thought today would be a good day for a little music and a chance to express my admiration for Yo Yo Ma. There’s not much to dislike about Yo Yo Ma. His virtuosity on the cello is evident. His affability and down to earth nature shines through in interviews, as does his humor. His ability to move easily in many forms of music, not just the sometimes remote world of classical music, speaks to his creative inquisitiveness. He has collaborated a number of times on projects with other world class musicians to create beautiful new music that is beyond the dead composers, though great they may be. In short, he can do little wrong in my eyes. He has a new collaboration out recently. 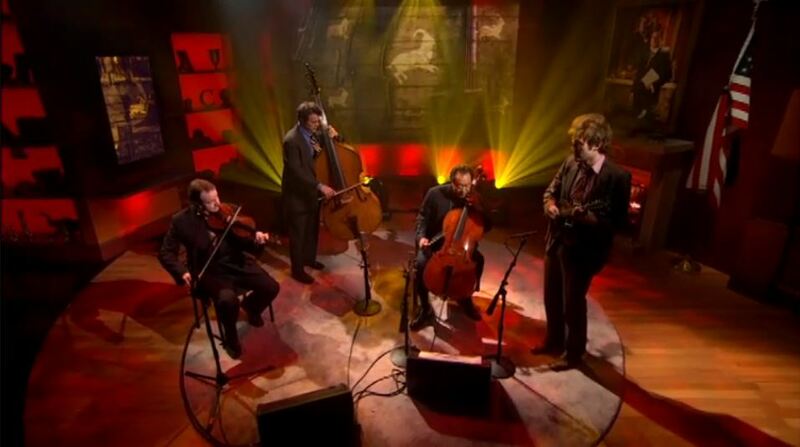 Called the Goat Rodeo Sessions, it combines his cello with the fiddling of Stuart Duncan, the upright bass of Edgar Meyer and the incredible mandolin playing of Chris Thile. It’s a great fusion of these acoustic elements into a unique blend of Americana. Just damn good stuff. Here’s Attaboy. There’s also a video of the bluegrass inspired Here and Heaven available.